StreamliteLTETM is Sequans’ LTE product line for the The Internet of Things (IoT). StreamliteLTE delivers an ideal balance of feature functionality and throughput enabling highly cost-effective LTE IoT devices. 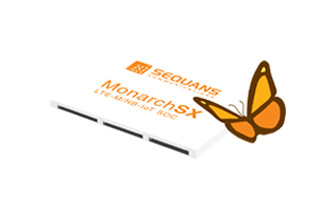 Monarch SX is a highly-integrated single-chip LTE-M (Cat M1) and NB-IoT (Cat NB1) system-on-chip (SoC) with an embedded processor designed specifically for small form-factor, narrowband IoT applications, including trackers, sensors, wearables, and other low data-use, low power M2M and IoT devices. 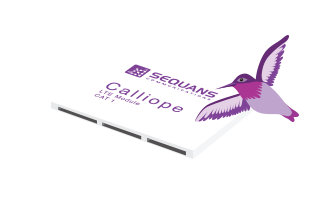 Calliope is optimized for LTE CAT 1 devices for the Internet of Things (IoT), such as vehicle telematics, alarm panels, and retail kiosks. It delivers an ideal set of IoT-friendly features for especially low cost / low power IoT applications, including vehicle telematics, alarm panels, and retail kiosks. 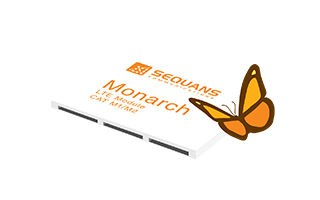 Monarch is the industry’s first LTE CAT M/NB1 chip, compliant with the 3GPP Release 13 LTE standard defining narrowband LTE. It is the world’s most highly optimized LTE for IoT chip and features exceptional low power capabilities enabling 10-15 years of battery life on IoT devices such as wearables, smart utility meters, and industrial sensors.